The Arrow is a lightweight 4.3m (14 foot) catamaran with timber or fibreglass hulls. It is sloop rigged, ie has a jib as well as a mainsail, and to add further challenge, is sailed with a trapeze. Competitively sailed by one adult, it is also an excellent learning boat for two young teenagers. Designed by Neil Fowler and Roy Martin and first launched in Darwin in 1963, the Arrow was one of the first light-weight catamarans. It was specifically designed to be simple to construct by the home handyman. Originally an all-timber hulled boat, it was modernised in 1977 by changing to aluminium beams and a trampoline deck. In the late 1980s, foam sandwich fibreglass hulls were introduced to produce a practically maintenance free boat. What is an Arafura Cadet? The Arafura Cadet is the smallest catamaran sailed competitively in Australia. Despite its diminutive size, it is fast and exciting to sail and easily outpaces monohulls of similar size. 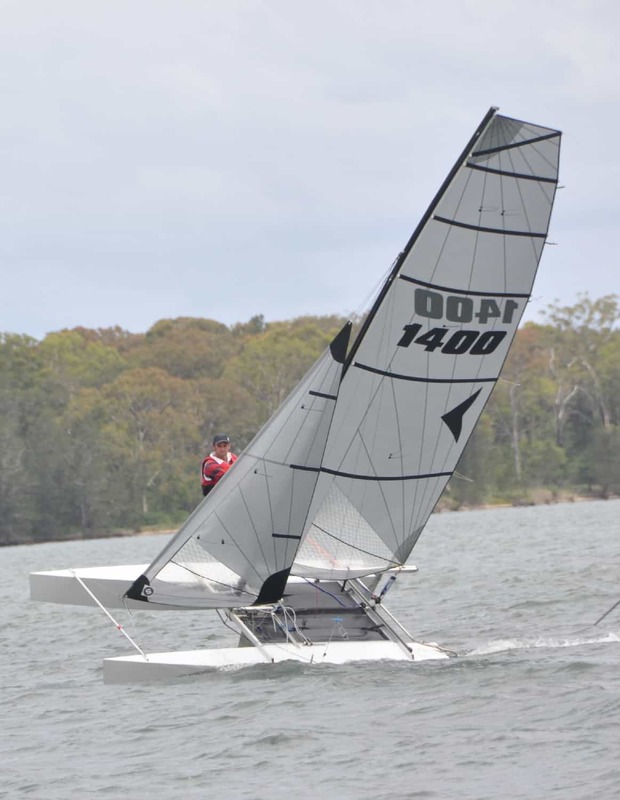 With a mainsail, jib and an optional trapeze, it offers plenty of challenges and is the ideal step-up class for young sailors graduating from training classes, or a first boat for older novices. It is sailed competitively by teenagers and lighter adults. As a fully rigged Arafura Cadet weighs less than 50 kg, it is easy to move around and is easily roof-topped. Its compact 3.35 x 1.54m dimensions mean that it is also easy to store. 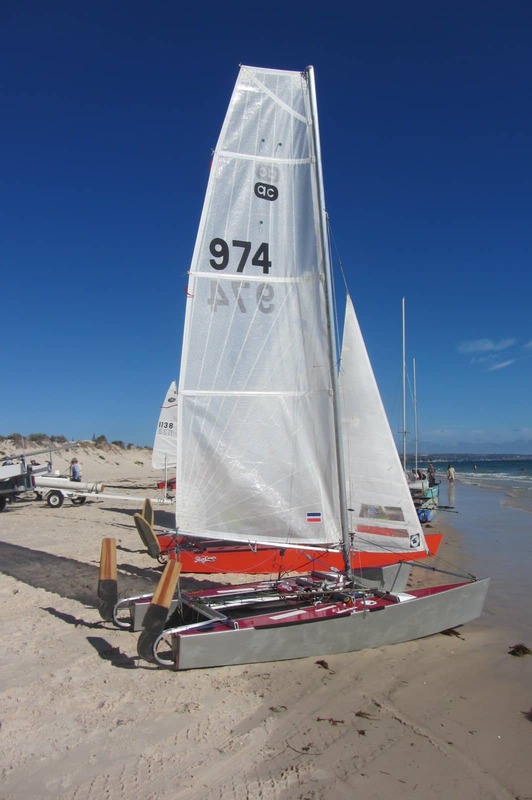 The Arafura Cadet was designed by Neil Fowler in Darwin in 1963 as a compact trainer for teenagers, although there is no age limit in competitive sailing. Like its bigger brother the Arrow, it was modernised in the late 1970s from its original all-timber construction to lower maintenance aluminium beams and a fabric trampoline. All existing boats have timber hulls, although fibreglass is permitted.